Wheatland Electric Cooperative, Inc. exists solely to continue to improve the quality of life of our members and the communities we serve by providing services that are safe, reliable and competitively priced. Our mission: DELIVERING ENERGY FOR LIFE. Democratic elections are held each year for Trustee positions. Trustees are limited to six, three-year terms and are Wheatland Electric members. The Wheatland Electric membership has elected an outstanding group of Community Leaders to serve you on the Board of Trustees. These men and women who serve on the Board of Trustees bring a high level of business savvy and take the necessary time to successfully guide our complex organization. This business model aligns Wheatland’s interests with its member-owners. Your Cooperative operates three, distinctively different businesses in southwest, central and southcentral Kansas. A 501 (c) (12) Electric Cooperative (not for profit) that is self-regulated by its member-owners. Wheatland Broadband is a wholly owned subsidiary of Wheatland Electric Cooperative, Inc. providing internet services to member-owners in southwest Kansas. Annually provides over 2.5 billion gallons of supply and reverse osmosis treated water to its customers. Wheatland Electric Cooperative Executive Staff (operate) and Board of Trustees (govern) all three entities. Executive Staff salaries and Board per diem are shared among all three companies. Wheatland Electric has the 9th cheapest residential rate out of 29 electric cooperatives in Kansas and is not above the investor owned utility average. Wheatland Electric scored 81 on its recent American Customer Satisfaction Index (ACSI) member satisfaction survey. It compares favorably to successful companies like Heinz and Levi Strauss and is consistently higher than the national score among all electric cooperatives in the United Sates. It is also well above the scores for the investor owned utilities and municipalities: 73 and 74. 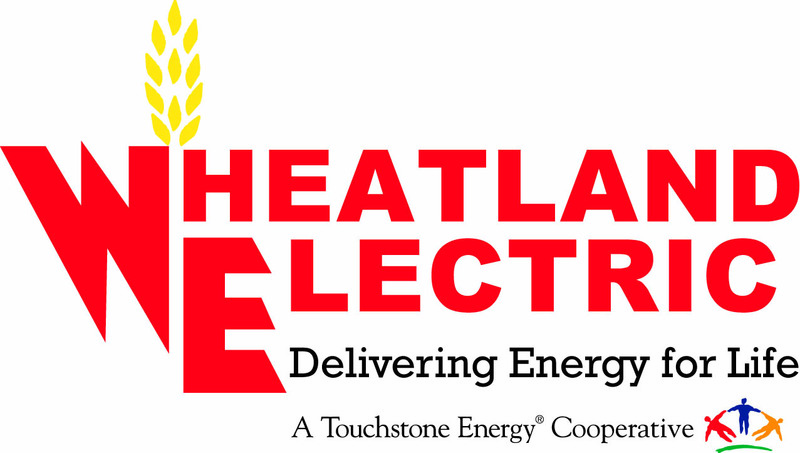 Wheatland Electric is considered a “High Performing” cooperative by its insurer, Federated Rural Insurance Exchange. Wheatland Electric retires capital credits when the Wheatland Board of Trustees deems it economically feasible to do so. In (2017), your cooperative retired $750,000.00 and in (2018), $1,250,000.00 in cash to you the members. Wheatland Electric’s Annual Food Drive “Cram the Van” has donated more than 32 tons (64,773 lbs.) of food to local food banks throughout our service territory to assist our members in need. Wheatland Electric’s Scholarship Program is committed to the leaders of tomorrow. Wheatland awards thirteen $1,000 scholarships to the high schools in Wheatland’s service territory. One at-large $1000 scholarship is available to students that have a parent/guardian who is a member of Wheatland Electric, but does not attend one of the 13 high schools in Wheatland’s service territory. Wheatland Electric sends 2 high school students from our service territory to the NRECA Electric Cooperative Youth Tour in Washington, D.C. each year. Wheatland Electric sends 2 high school students from our service territory to the NRECA Cooperative Youth Leadership Camp in Steamboat Springs, Colorado each year. Wheatland Electric sponsors the Kansas ElectroRally program annually and helps sponsor the Sunflower ElectroRally Race held at the Scott City, KS Airport. Wheatland Electric is one of six member-owners of Sunflower Electric Power Corporation (SEPC)/MidKansas Electric Company Inc. (MKEC). There is push for restructuring the way a member purchases electricity in Kansas. Lawmakers should carefully consider how restructuring the current market will benefit all classes of the membership, not just the large industrials. As a cooperative, our rates are set to recover costs. Political and media focus has been on rising electric rates (compared to other states in the Midwest) and Wheatland is equally interested in a solution. While generation costs have stabilized and dropped recently, the transmission costs have continued to climb. This is largely a result of the highway/byway cost of allocation of transmission facilities (poles and wires) to move wind energy out of Kansas. Kansas ratepayers are paying for transmission costs that largely benefit out of state wind developers. In the meantime, electric cooperative rates have been stable or declined. We are currently working with Sunflower to change the cost allocation of transmission costs at the Southwest Power Pool (SPP). If successful, this will save Kansas electric ratepayers millions of dollars each year. Wheatland Electric shares the concern for the cost of providing safe, reliable and competitively priced electricity and are taking steps that will allow us to continue to keep: DELIVERING ENERGY for LIFE. FEMA recovery for April 30, 2017 Winter Storm Ursa ($6 million initial restoration and permanent restoration). In a desire for transparency, Wheatland Electric Cooperative, Inc. has filed and made available its FORM 990 for many years. For income tax purposes, most electric cooperatives in Kansas are tax exempt entities under I.R.C. 501(c)(12). Although they have no income tax liability, they still report their activities to the Internal Revenue Service on the IRS Form 990, Return of Organization Exempt From Income Tax. The form is intended to give the government and the public a picture of the organization’s activities each year. Part VII of this form lists compensation for current and former officers, directors, trustees, key employees, and up to five independent contractors receiving more than $100,000 in payment from the organization. This data is further detailed in Schedule J, Part II for key employees between reportable and estimated compensation. Retirement and other deferred compensation which includes contributions to the employee’s retirement or deferred compensation plan plus the annual change in actuarial value of a defined benefit plan. This actuarial value can impact a 990 significantly. Nontaxable benefits which can include educational assistance, health insurance, medical reimbursement programs, life insurance, disability benefits, long-term care insurance, etc. There are 28 distribution cooperatives in Kansas and more than 900 in the country. Electric cooperative personnel have developed specialized skills that are easily transferrable to another cooperative here in Kansas or across the country. Therefore, cooperatives consider the local labor market as well as annual compensation studies and other market data to compare compensation with similarly situated cooperatives on a state and national level. That helps the cooperative retain skilled personnel who could be recruited to higher-paying geographical areas and/or larger cooperatives that may have more economic resources. In addition, this past year Kansas Corporation Commission staff have reviewed the executive salaries at four electric cooperatives as part of their jurisdiction in transmission rate filings and expressly stated that they find the salaries to be just and reasonable. A safe, reliable and competitively priced electric supply is key to our quality of life and our economic opportunity. 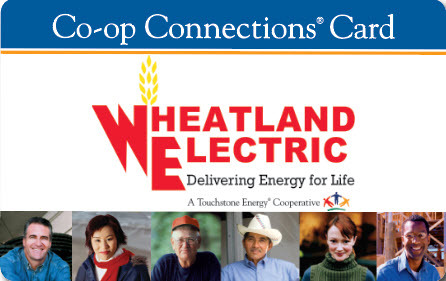 Wheatland Electric Cooperative, Inc. takes that responsibility seriously and it requires skilled and dedicated staff throughout the organization to achieve that goal, and our mission: DELIVERING ENERGY FOR LIFE. If you have any questions, please contact your Cooperative CEO/General Manager or Executive Staff at any time.